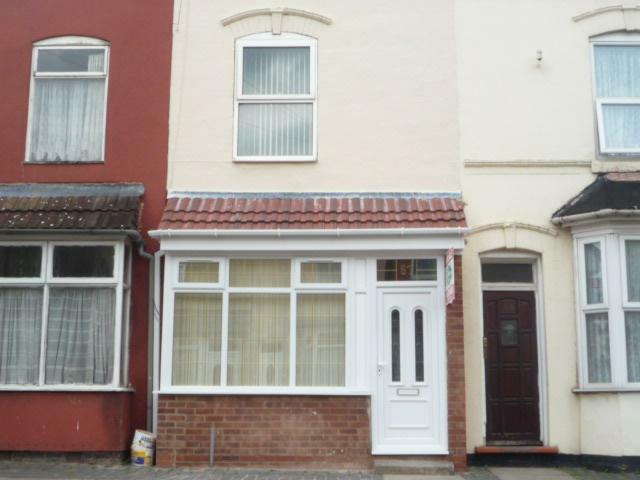 A very well presented three bedroom terraced house in a popular residential area briefly comprising of: Entrance Hallway 13'.2" X 3'.2" Double glazed panelled front door, leading to reception rooms. Reception Room 1 - 11'.5" (into bay) x 12'.7". Benefiting from Double Glazed Window to the fore and Gas Central Heating Radiator. Reception Room 2 - 11'.0" x 12'.3" Benefiting from Double Glazed Window to the rear and Gas Central Heating Radiator, in need of modernisation. Downstairs Bathroom - 6'.0" x 5'.5" Benefiting from a three piece suite comprising; panelled bath, pedestal wash hand basin and low level W.C. Tiled walls, lino flooring and UPVC double glazed obscure window to rear elevation. In need of modernisation. First Floor Landing - Doors to all Three Bedrooms. Bedroom One - 11'.4" x 12'.11" (into chimney) Benefiting from Double Glazed Window to the front and Gas Central Heating Radiator. Bedroom Two - 12'.10" x 12'.4" Benefiting from Double Glazed Window to the side and Gas central Heating and newly fitted carpet. Bedroom Three - 9'.2" x 5'.9" Benefiting from Double Glazed Window to the rear and Gas Central Heating. Rear Garden - Block paved area fenced to boundaries. The agent understands that the property is Freehold. However, we are awaiting confirmation of the tenure from the Sellers solicitors and we advise all interested parties to obtain verification through their Solicitors or surveyor. We understand that the following mains services are available - gas, electricity, water and drainage. The agent understands that these particulars have been prepared in accordance with the Property miss-descriptions Act 1991. However, please be advised that vendor approval may not have been obtained. We therefore advise all interested parties to confirm accuracy with their solicitors.